If you’ve ever played around with Google Maps, trying to look for the front of your house or explore neighbourhoods in other countries, you would have met Google’s little yellow man. But while you might’ve used him and exploited him to satisfy your wanderlust, you probably don’t know much about him. Heck, you don’t even know his name. Shouldn’t we at least go on a second date first? He was first introduced in 2008 — a full year after Street View was born — as a way for us to expand Street View to fill the whole map window. The idea that preceded Pegman was much less appealing: it was literal eyeballs — ones that you’d have to drag-and-drop onto the map to expand Street View. It was later scrapped in favour of our favourite yellow man because the idea of picking up eyeballs was just too icky. They then went for a humanoid form, but cycled through several different designs. Pegman began first as Pegwoman (feminists rejoice! ), which gave way to a Tofu man. The figure became simpler and had less discernible features — at 32 pixels, it wasn’t much to work with anyway. Then finally, Pegman was born! He was introduced in a YouTube video about Google Maps Street View in 2009, and starred Ryan Germick, the designer behind Pegman, dressed in a blockish yellow suit and wandering around San Francisco. Incidentally, Germick now leads the Google Doodle Team. This video went on to become Google’s first viral video on YouTube. He would even be dressed in specially designed costumes when dropped in particular areas or during certain festivals, like an alien costume when near Area 51, or a leprechaun outfit on St Patricks’ Day. He was also specifically designed to swing as he was being picked up, like a real man holding on for dear life. This aimed to make users feel like they are, in a way, the hand of God, picking up a physical being and placing them wherever you wanted in the world. 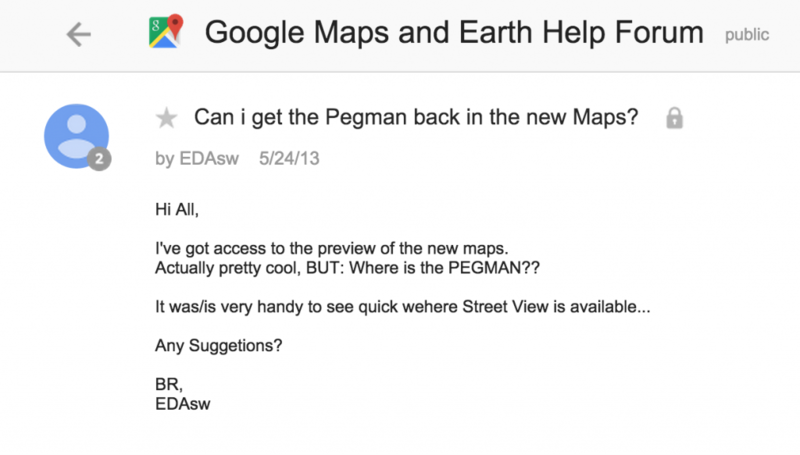 In 2013, Google decided to remove Pegman from their Google Maps redesign. 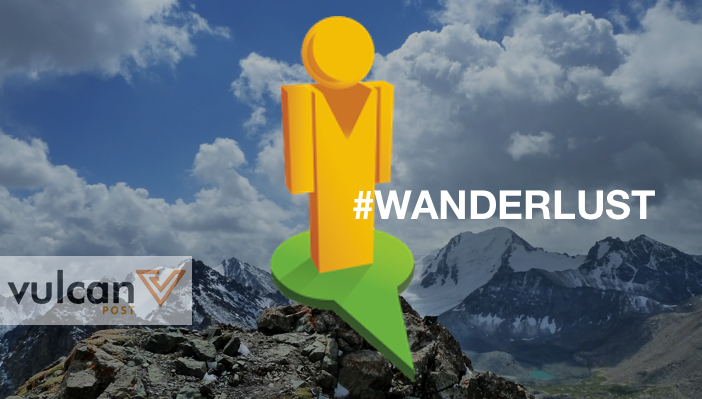 The quiet departure of our yellow companion prompted fans to reach out to the Google team, asking them to return Pegman to their maps. 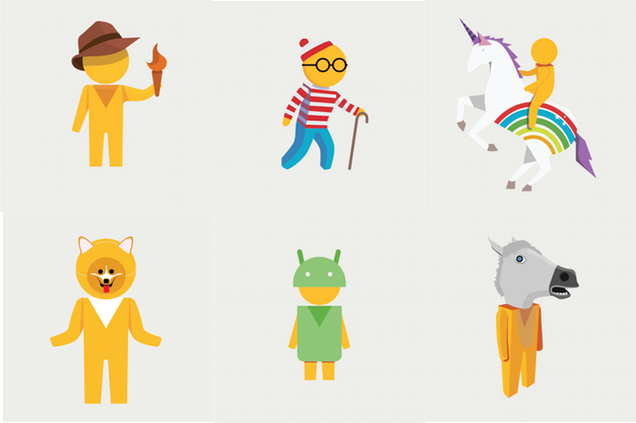 And within the year, Pegman did return — with a whole new look. With the help of B-Reel, a creative company based in San Francisco, Pegman was launched with a fresh new look, along with several new outfits. A campaign, #PegmanLive, let fans have a say in what costumes Pegman should have. He also shifted from being on the left of Google Maps to a spot at the bottom of the page, eager to be used. So the next time you use Google Maps, take a moment to appreciate how far Pegman has come to get to where he is today: after all, he’s the little pawn that we use to see the world vicariously, one Google search at a time.